"A grudge is a sentiment that is chained down and cannot move. That fixed sentiment becomes sadness, and when that sadness remains chained with no escape…it becomes hostile…” Baek-On and Ho-Yeon are exorcists-for-hire, traveling throughout the country in search of grudges and ghosts. Each encounter reveals a story of tragedy and loss, sentiments they are all too familiar with themselves. But sometimes the violence of the most murderous spirits is nothing compared to the cruelty of the living. 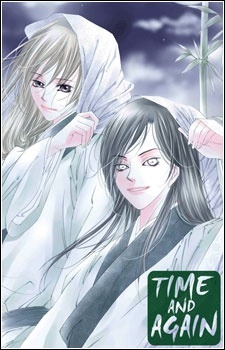 Pahanjip was published in English as Time and Again by Yen Press from December 15, 2009 to July 19, 2011, as well as in eBook format from February 10, 2012 to March 16, 2012.